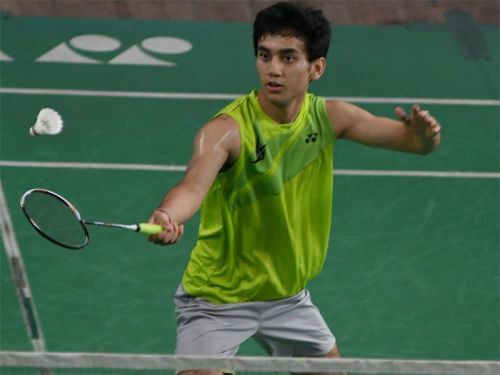 India’s biggest title hope Lakshya Sen was put to a stern test in his first encounter against a seeded opponent at the 2018 BWF World Junior Championship in Markham, Canada. But he managed to come through with flying colors, booking his place in the quarterfinals with a fine win. In addition to the men’s singles category, Indian hopes are still alive in men’s doubles too. The 12th seeds Vishnu Vardhan Goud Panjala and Srikrishna Sai Kumar Podile registered a comfortable win today, joining Sen in the last eight. The 17-year-old Sen, seeded fourth at this tournament, was pitted against a strong player for the first time this week. And he immediately faced a tough challenge as the ninth seed Chen Shiau Cheng of Chinese Taipei made a bright start to the match, winning the first game 21-15 in commanding fashion. It took the former junior World No.1 some time to settle into the match and find his strokes, but once he did he looked supremely confident. The second game was highly competitive and tense before Sen pulled the trigger and bagged it 21-17. In the decider, Sen showed his class fully and did not allow his opponent much room. At the end of 59 minutes, he emerged a 15-21, 21-17, 21-14 winner to set up a quarterfinal clash with Malaysia’s unseeded Aidil Sholeh Ali Sadikin. Sen is looking for his maiden medal from the World Junior Championships, to add to the Asian Junior Championships gold and the Youth Olympics silver that he won earlier in the year. The men’s doubles pair of Panjala and Podile, meanwhile, did not have to work nearly as hard. They needed only 31 minutes to secure a 21-11, 21-17 win over Dwiki Rafian Restu and Bernadus Bagas Kusuma Wardana. Up next for them are the 10th seeds Tae Yang Shin and Chan Wang. The Indian challenge came to an end in the women’s doubles section with a 13-21, 11-21 loss suffered by Aditi Bhatt and Tanisha Crasto at the hands of the fourth seeds Agatha Imanuela and Siti Fadia Silva Ramadhanti of Indonesia.